DOG Leash SELECTION GUIDE: What lets choose for my dog? In many situations, a Dog Belt can be very useful. Its use is sometimes obligatory, but, given the many models available, the choice can be difficult.Let us try Choosing the Right Dog Belt. The Dog belt is one of the indispensable accessories for your dog. It is compulsory to cross certain places or certain breeds of dog, it avoids runaways or accidents and gives you control of the movements of your animal. It is also necessary to choose the model suitable for your dog and your activity. Which lets choose (short, stretchy, hands-free belts)? The reel type Dog Collar does not take up much space and allows your dog to have a certain autonomy as soon as the ground allows it. As the name suggests, it can lengthen or shorten as you wish. There are different models and sizes to fit all dogs, from the smallest to the largest. Do not take a Dog Collar for small dog. you must remain vigilant when the rope is unrolled. Your dog can easily knock down a pedestrian or a cyclist, wrap in a bush or around a tree. On the sidewalks of cities, do not leave too much length to your dog, because an accident might take place. The metal or leather Dog Collar is resistant. The metal one is very solid but it is heavy and impractical. It can hinder your dog by tapping against his shoulder or back. It is very useful if your dog has a bad habit of biting his Collar at the risk of severing it. The leather leash was very much appreciated for many years. It is elegant but must be maintained regularly. Moisture or dryness can weaken it and you may one day see it break. 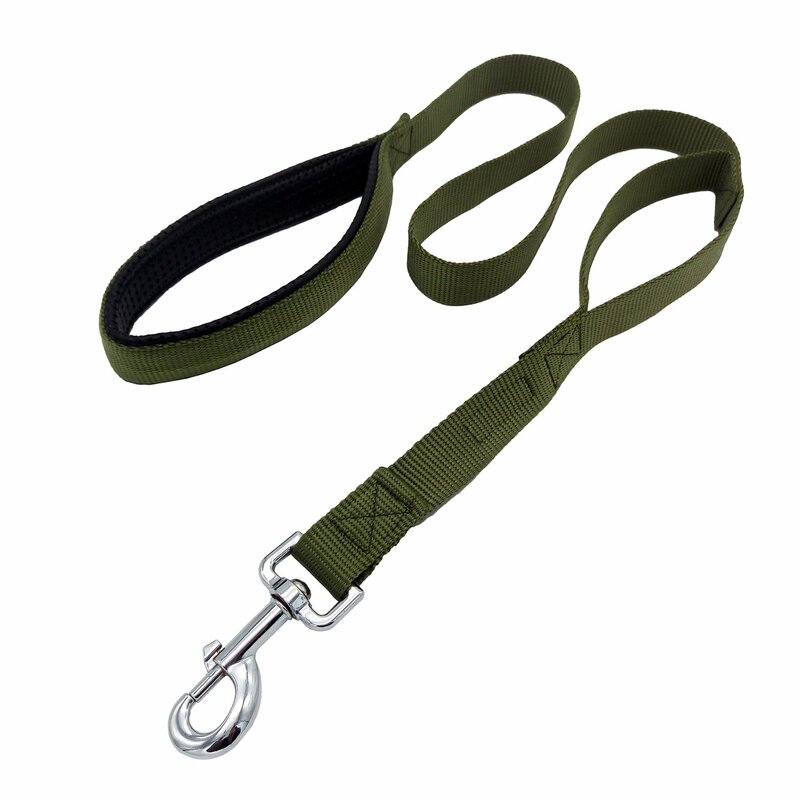 The nylon Dog Collar is lightweight, easy to maintain and strong. It exists in a wide variety of colors and patterns. Some models allow to adjust the length with a ring. You have either a short or longer Collar. The attachment carabiner must be of very good quality so as not to break. The short leash is recommended for large dogs to limit the leverage on your arm. It forces the dog to walk on foot and does not allow him to explore the surroundings. If your dog is tall and heavy and wants to do a quick start, you will not be able to hold it with a long leash. With a short model, you almost have your hand on the dog and the start can be stopped more easily. If you like to run and your dog comes with you, the hands-free leash or belt leash is a great solution. 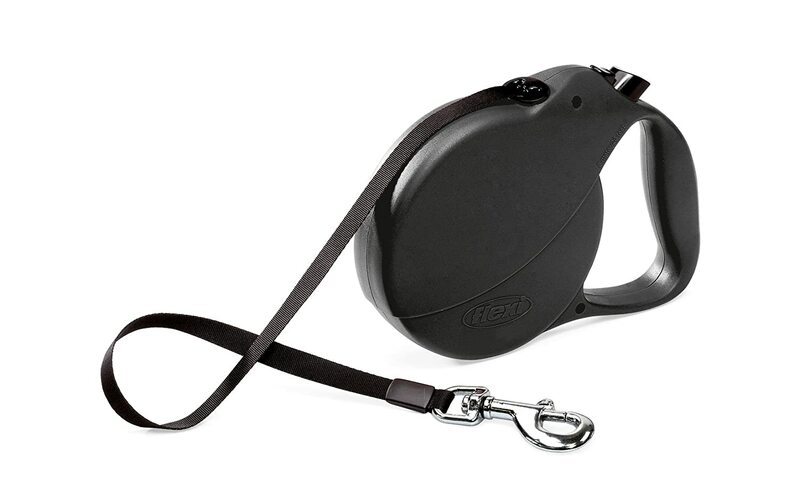 It keeps your hands free as the leash of your dog is attached directly to the integrated belt. This belt can be padded for your comfort and the leash can be stretchable to avoid sudden stops in case of traction. You will have to gradually accustom your dog to this system. Use the hands-free leash to walk quietly before putting it to go running with your dog. Beware of the quality of the product which should not break at the first stop of your pet. There are also models of leashes for cyclists. This kit consists of a retractor and a two-part leash. It attaches to the saddle of your bike and the length is adjustable for your dog to be safe. This technique requires learning the dog and the cyclist. The shockproof leash can be used with a very energetic dog but never on an aggressive or dominant dog. It is reserved for well-trained dogs who know perfectly how to walk on a leash but which overflow with energy.